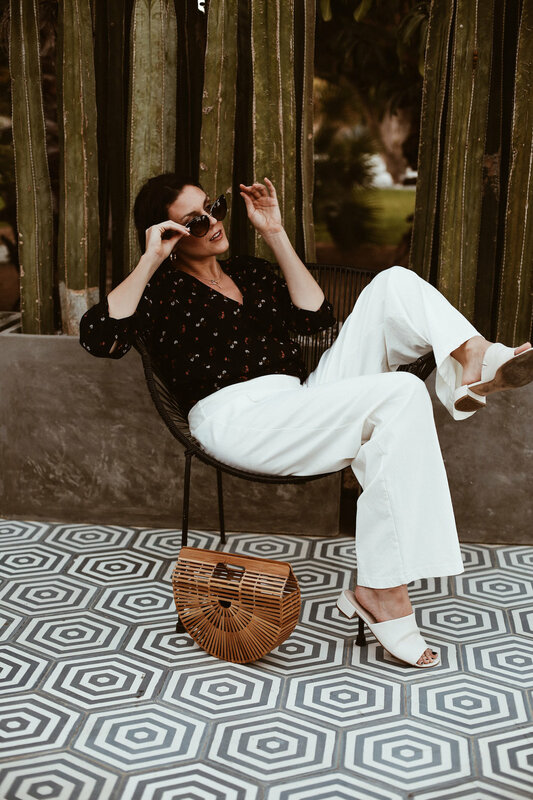 When I was planning outfits for Cabo, I knew without a doubt, my favorite wide-legged white pants needed to be involved. They go with everything and work for almost any situation. Aka they're a vacation style game-changer, and I wasn't leaving home without them, even if I had to hand carry them the whole way there (because, true to form, our luggage was overweight....but only by, like, 3 pounds, so whatever *insert all the eye rolls*). One of my favorite things about these pants is not only their versatility, but just how comfy and forgiving they are. So, whether you want to hide a few extra tacos, pair them with a tee for a casual breakfast, or dress them up for dinner, you're good. 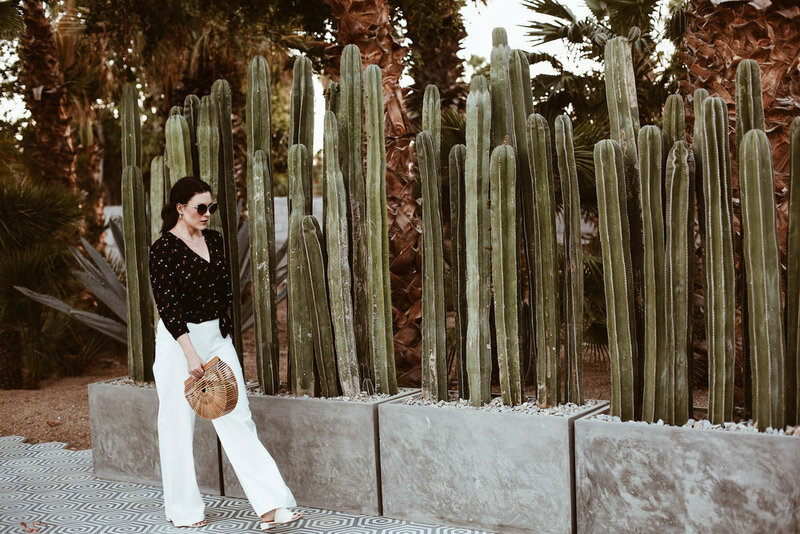 I mean, we were only in Cabo for a few days, and somehow I managed to wear these white pants for every single one of them. Not like I didn't have a whole overweight suitcase of other clothes or anything *insert more eye rolls*. 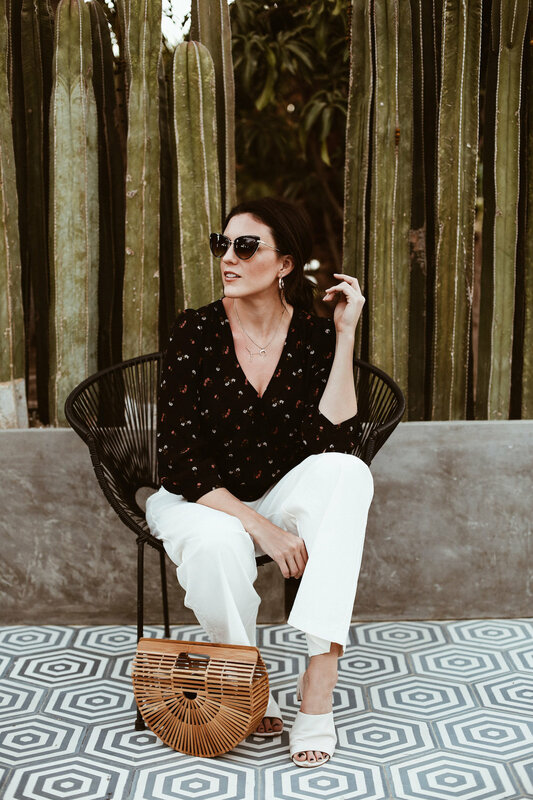 While I did manage to wear these pants every day, the look I liked the most was my dressed up one, with a and chunky gold hoops, for the tasting dinner we did for my birthday (Shout out to Mr. RC's Dad + his wife for gifting me such a yummy birthday present!). Talk about forgiving pieces of clothing. A wrap top is right up there at the front of the line as one of the most forgiving (and flattering) pieces of clothing out there aka exactly what you want to wear to a seven-course tasting menu. So, uh, shout out to my wrap top and white pants for coming through with the vacation style win! You the real Cabo MVP's! 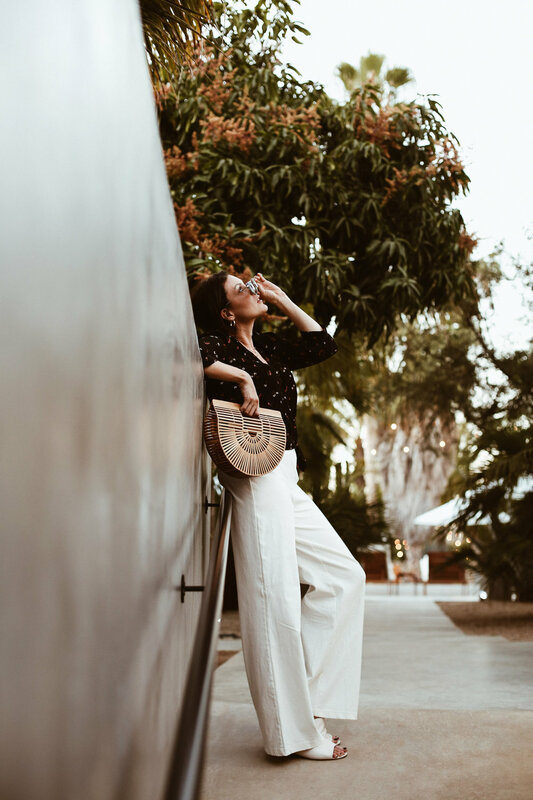 What's your vacation style go-to? 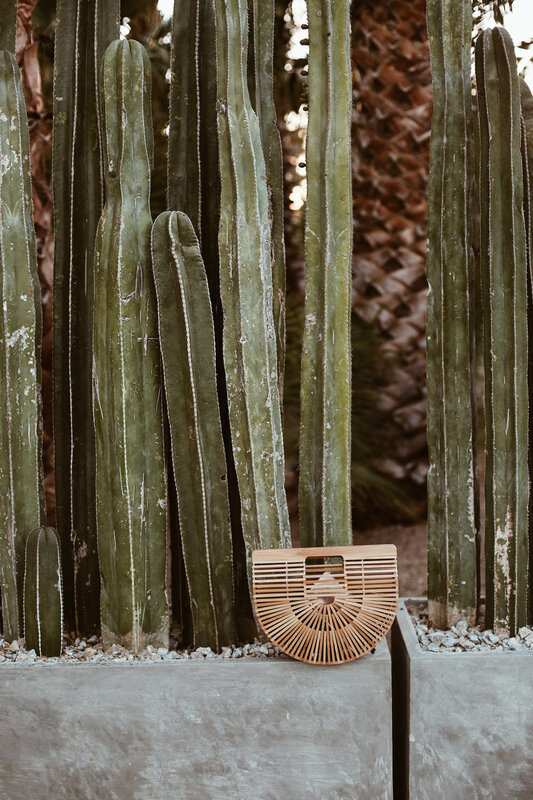 Do you have any pieces you'll never leave home without? if you purchase one accessory right now, make sure it's a pair of these...there's nothing they don't go with!